Expat aid workers love drivers. Upon arriving at the airport in a new country after a long flight, followed by the entanglement that is immigration, luggage retrieval, and customs, you stumble sweaty and bleary-eyed into the arrival pen. You scan the sea of unfamiliar faces, desperately hoping to see a sheet of A4 with your name on it. There it is! You make eye contact, nod and smile. And as you hand your whole being over to that other human, you can relax: You’re with the driver now. Expat aid workers love drivers because drivers are accustomed to expat aid workers. Expat aid workers like to practice speaking new languages, and a driver will usually smile and indulge when in actuality his English is much better than the expat aid worker’s attempts at whatever other language. (Drivers are great language teachers, too, by the way. They are always ready to teach the “must know” local slang and euphemisms which are guaranteed to impress other local staff.) And since drivers are so used to expats, they are great at letting it slide when expats commit common cultural or linguistic faux pas – you can point your feet at people, mistakenly call old men “little brother”, expose your shoulder or midriff, or rant inappropriately about local culture without fear. The driver will not think ill of you. If an expat aid worker has a personal driver, it means he or she has power and authority. Though expat aid workers in country for a short period of time might be assigned a driver to get them around for the duration of their stay, this should not be mistaken for “having a driver”. Only Country Directors and others high up on the food chain “have drivers”. Those who have drivers get very easily accustomed to referring to “their drivers” and offering “their drivers” out to do favors for other people. They often are not quite sure what to do with themselves when their drivers have a few days off. On the other hand, young expat aid workers not accustomed to working with drivers face dilemmas: Do they invite the driver to lunch? Should they pay for the meal or does the driver have a per diem? Should he sit at the same table? Should they sit in the front seat with the driver or in the back? Is it acceptable for the driver to be married but to have a woman in every town that they visit? Can they still enjoy his company just as much, regardless of that? Is it OK to ask him to take them to run a personal errand? Can they ask for the air conditioning to be turned lower? Can they request that a driver slow down and stop passing on curves on hills? What if they suspect he’s had a few drinks of local brew back in that woman’s hut while the workshop was going on in the community? Learning good driver management is an important skill for new expat aid workers to master along the road to full-fledged country directorship. 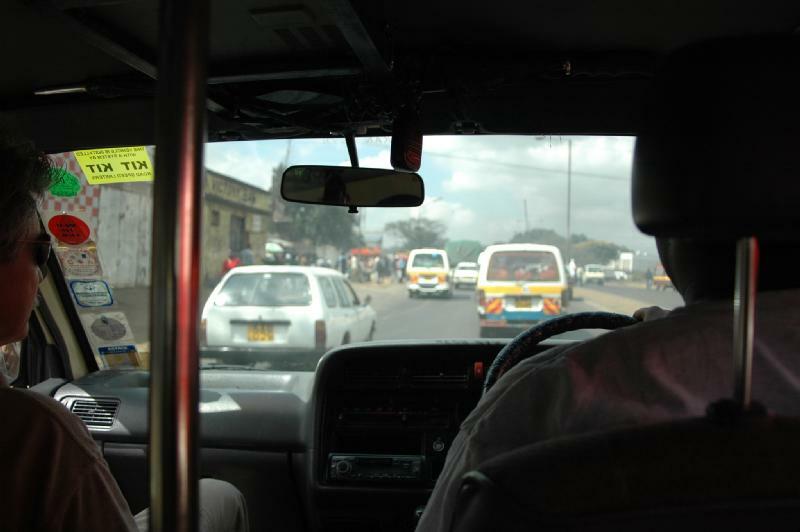 Of course expat aid workers can count on drivers for more than just getting them places. Drivers serve as fixers, translators, guides, and maybe even security guards. Drivers can tell an expat aid worker where to get anything, even things that are forbidden in some countries. Drivers spend a lot of time listening to talk radio, so they are a brilliant source of news, weather, politics, soccer and what is going on in their country as well as in your country and every other country that the BBC reports on. Expat aid workers who have limited contact with real live “locals” will often take what their driver says as the “voice of the people.” This “local voice” can go so far as to influence decisions an aid agency makes with regard to an entire country. Because they are such great sources of cutural information, it may be a good idea to include the driver in focus groups or run new strategy ideas past him for quick informal “vetting.” Drivers make expat aid workers feel like they are friends with a local and have “insight into local perspective,” another thing that expat aid workers like. If there’s room, alway sit in the front – you will later, so might as well start now. But if there are two people meeting you, let them make the first choice. However, there are times when you have to take control. When the driver met me in Hargeisa and drove me across Somaliland in the dark, then tried to put a baby antelope in the back of the car (for sale to someone else), I knew it was time to be firm.